Uplifting and ethereal, the romantic Musc et Freesia collection is story of pure poetry with its distinctive aldehydic accord and enticing presence. As pretty as the morning dew on a delicate peony petal, this charming composition bewitches your senses with a combination of raspberry leaves and sparking aldehydes. Inspiring heart notes of freesia and cyclamen seduce the deep base notes of white leather and musk, alluring everyone in its presence. 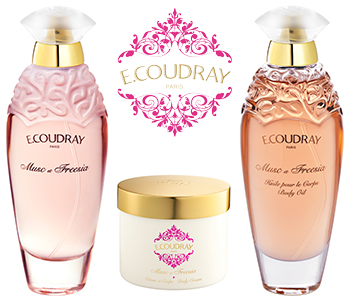 Prepare to fall in love with the Musc et Freesia collection.